A meeting was going on at the church when the blaze broke out, but everyone had escaped before it grew stronger, he said. 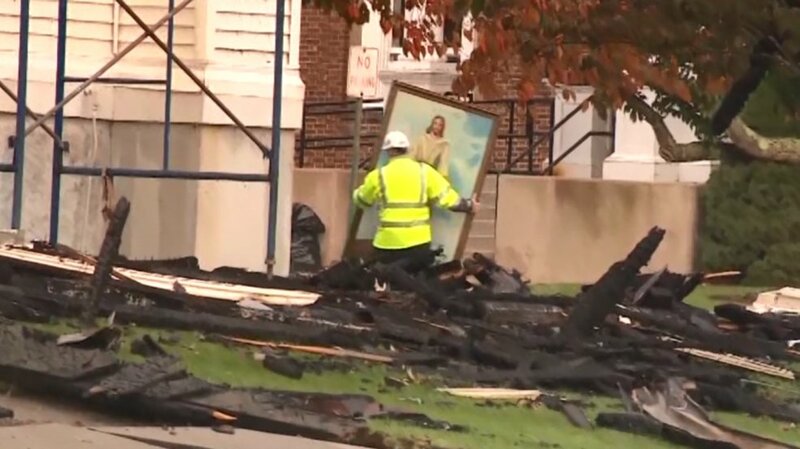 JESUS LIVES | The large painting was removed from the rubble practically unscathed. There was no damage from fire, smoke or water. WAKEFIELD, MASS. — A historic Massachusetts church went up in flames Tuesday night. 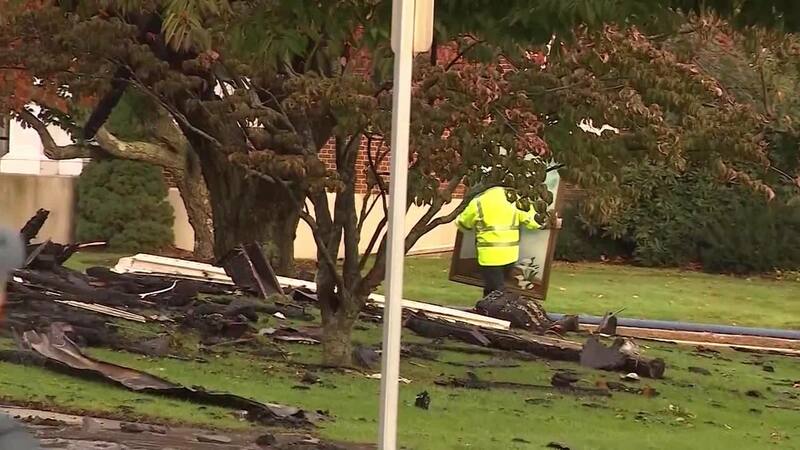 Watch the news report here The First Baptist Church in Wakefield suffered an apparent lightning strike during the severe weather moving across Massachusetts. 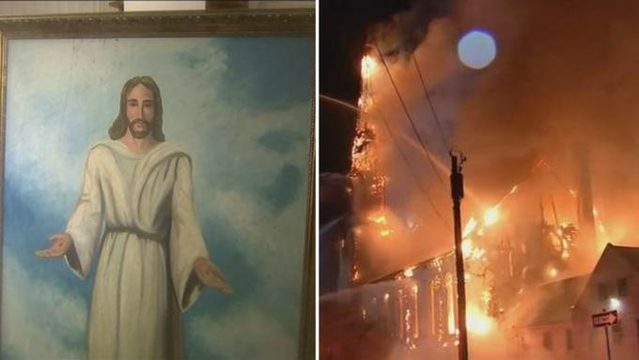 A large painting of Jesus managed to survive a 7-alarm fire at a church. It is not coming down quickly, but the old church is coming down – much to the sadness of parishioners and residents of Wakefield. The artwork, showing Jesus in a white robe with his nail-marked hands extended, hung just inside the front doors of the First Baptist Church of Wakefield, the Boston Globe reported. Officials believe a lightning strike during a severe storm ignited the fire at the 150-year-old church. 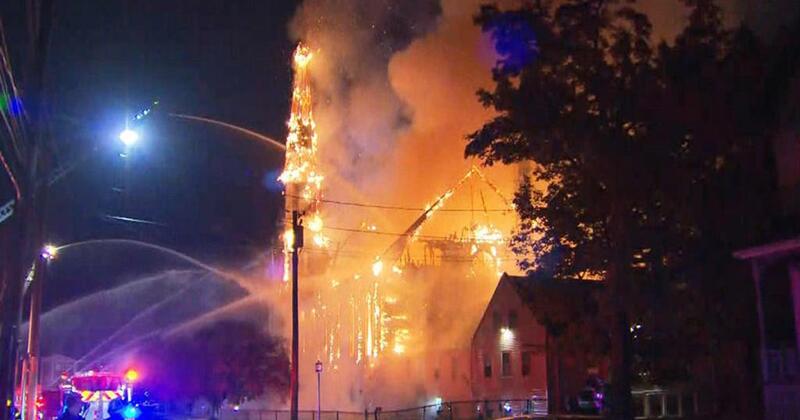 On Boston25News.com: Massive fire destroys historic Wakefield church Crews began dismantling the remnants of the historic landmark in the rain Wednesday morning. One major concern is the remains of the steeple, which partially collapsed into the church, the local station reported. 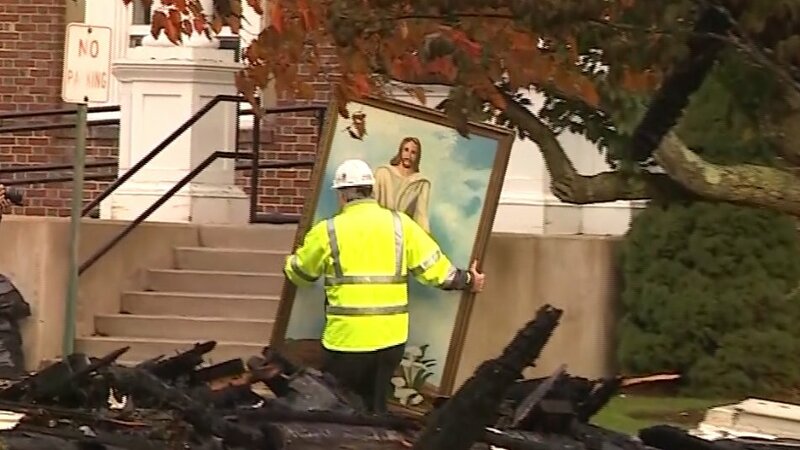 A Boston Globe photographer captured a building inspector carrying a painting of Jesus from the First Baptist Church on Tuesday night. See video from the scene here WATCH LIVESky25 surveying damage at Wakefield church destroyed by massive fire Tuesday evening Posted by Boston 25 News on Wednesday, October 24, 2018 "I was down about a mile away and I just saw this fireball in the sky.